There are many reasons why you would want to replace your hard drive. The first one is advances in technology, newer hard drive simply spin faster, and allow for faster data transfer rates. An older hard drive can be slowing down any machine. Another reason is space, as time goes by hard drives come out that allow for greater storage than ever before. If you start hearing weird sounds coming from your hard drive, it is defiantly time to replace. Clicking, cracking, or odd noises are a sign that the hard drives head is failing. If you think your hard drive is about to fail, it is very important to get it replaced before you lose all your data. Replacing a hard drive is no easy task. It requires your macbook to be opened up. Anytime you open your laptop is opened, your computer is susceptible to damage in a variety of ways. There are many fragile wires, ribbons, and components that can easily be damaged. This is why it is best to let a Macbook hard drive replacement service, replace your hard drive. There are many Macbook hard drive replacement services. One good service is www.macrepairsmanchester.co.uk. They can easily open up your Macbook and replace your hard drive, and transfer all of your data. Your hard drive can also be upgraded to the latest technology available. Larger memory, and faster transfer rates will speed up any Macbook. 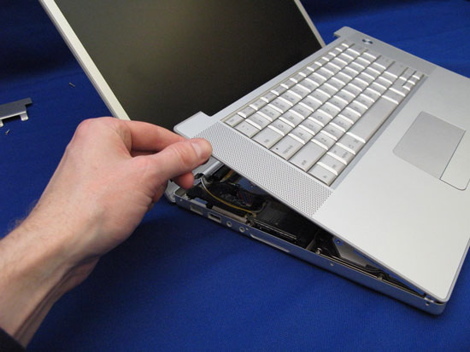 If you have experienced a Macbook hard drive failure, www.macrepairsmanchester.co.uk can also help. Not only will they be able to replace your damaged hard drive, but they may be able to recover your lost data. There is no worse feeling than thinking all your data may be gone. www.macrepairsmanchester.co.uk has been able to recover lost data for a variety of hard drive failures. Repairs are conducted on site, and certified Macintosh technicians will be able to guide you through the best repair options. Do not trust your computer to anyone other than a certified professional. Anything from Macbook hard drive replacement service, data recovery, or other repairs www.macrepairsmanchester.co.uk will have you covered.